well….this week flew by faster than any week this summer. almost every day this week felt like it was a different day. like all day wednesday i thought it was thursday, etc. anyways…another good and full week in the books. the weekend will be filled with cleaning, playing, packing, and grocery shopping. +this guy is a mess. and after his bath it is so hard to track him down to get his diaper and clothes on. well on this particular night…his new pair of shoes came in the mail….and he saw them and wanted me to put them on. then he was off! 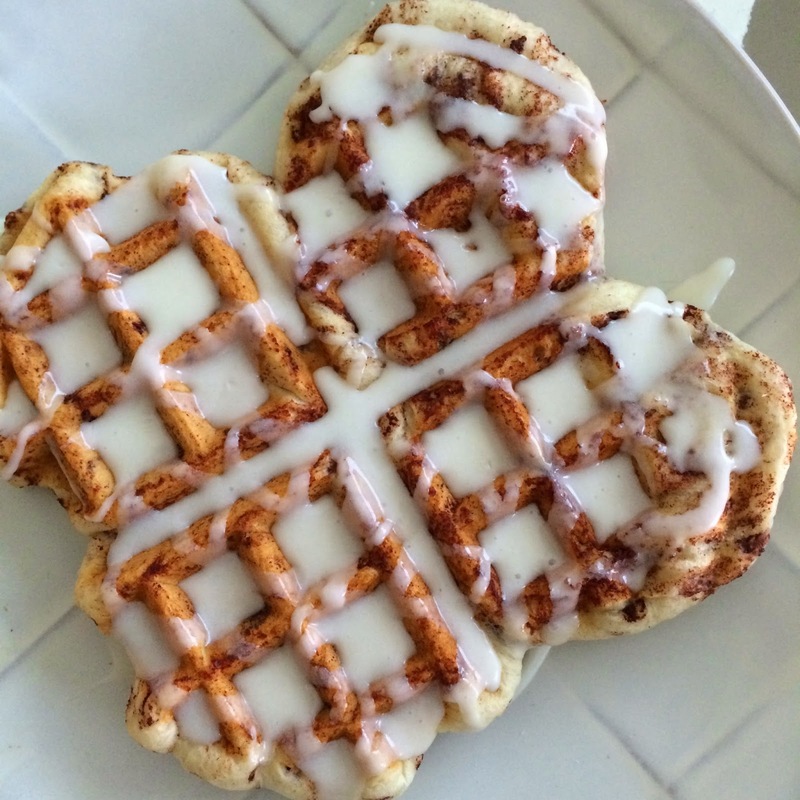 +Sunday morning cinnamon rolls. in the waffle maker. yum! my stepsister, Aubrey, made these and gave me the idea to make them. i've also seen them floating around Pinterest. 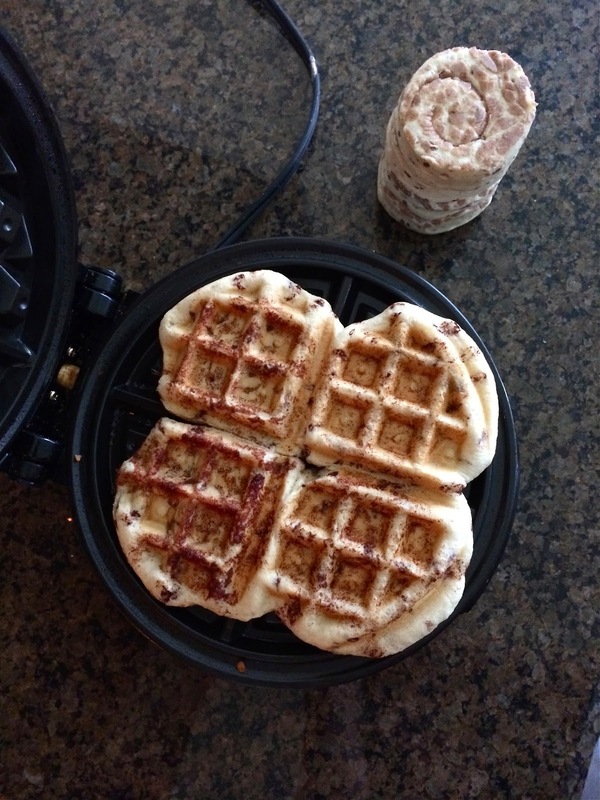 i don't think i'll make them in the oven again…as the waffle maker made just an all-around softer roll…and i loved how the icing filled perfectly into the grooves of the waffles…with hardly any being lost to the plate. +slowly, but surely i'm doing more with the 3 by myself. 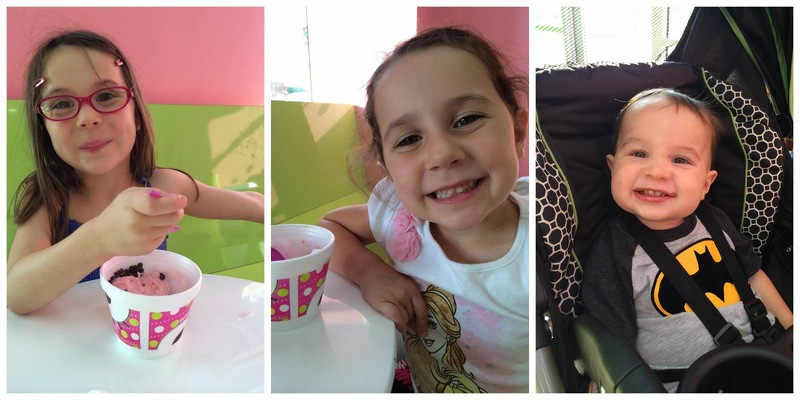 Monday night….frozen yogurt. we had a really good time. +and on the way to get the frozen yogurt…there was a 'terrible accident' and Grace's doll, Dolly, got a rip on her back. and so she needed surgery. and stitches. just like Grace had needed. +on tuesday night…girls' night mini staycation. we started the afternoon at the hotel pool. it was so nice! +love these ladies! we met 10 years ago while teaching together at the same elementary school. 9 years ago we started a dinner club where we'd get together once a month at someone's house for dinner. at the time…there was 1 kid between us. and now there are 10. over the years it dwindled from a monthly gathering…to a few times a year….and it'd be at a restaurant instead of a house. ;) this summer we decided to make a night of it. +thursday, my best friend from college, Jamie, and her husband were in town, and stopped by for a visit. 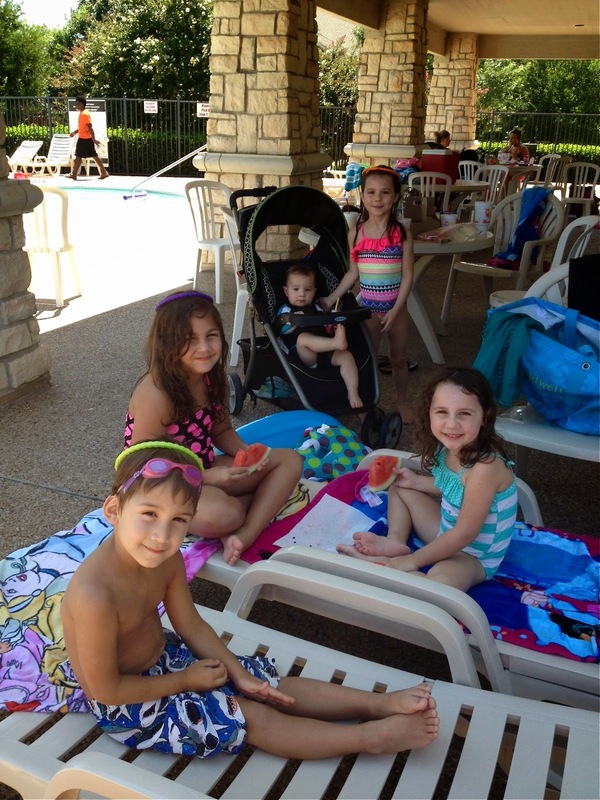 she only had her biggest 2 kids…and so we decided we'd take the kids to the pool. 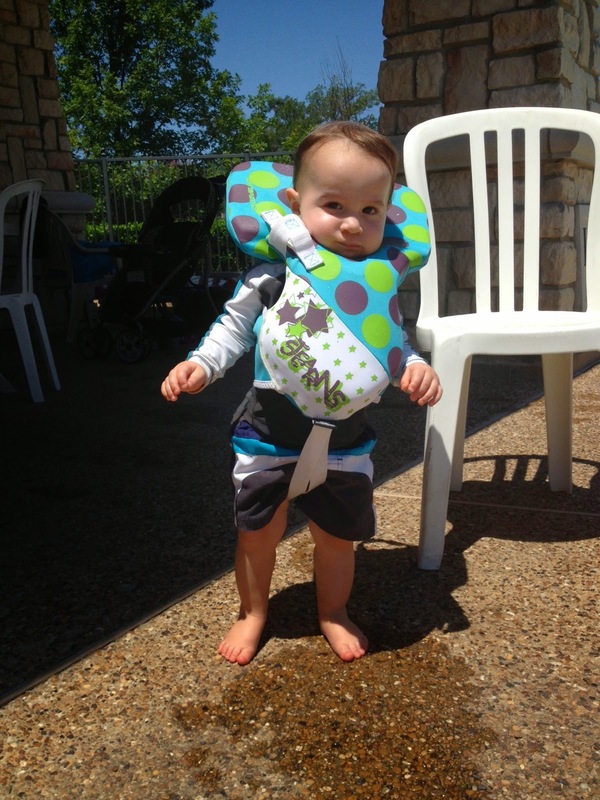 nolan didn't quite know what to think about his life jacket. +and what's better for dessert after lunch in the summer... than a sno-cone? abby and grace played so well together in the kitchen. +the girls really do get along and play together so nicely. most of the time. but then….i guess a lot of the time they bicker. like sisters. and so i made them give each other a hug to make-up one day last week. grace was loving it. and truth be told…i think parker did, too. haha! +we visited my granny today….and, turns out, they have a stray dog that is basically their dog now. the girls are terrified….but nolan really liked him. a boy and a dog. Love him in his new shoes! And how fun to have a 'vacay' night with your friends! Jamie looks so good and her kids are growing so fast! Time keeps flying by!